The Strike helmet provides a lightweight and stylish design. Good ventilation and superior fit with comfortable linings and a military style chin, makes for a comfortable and snug fit. 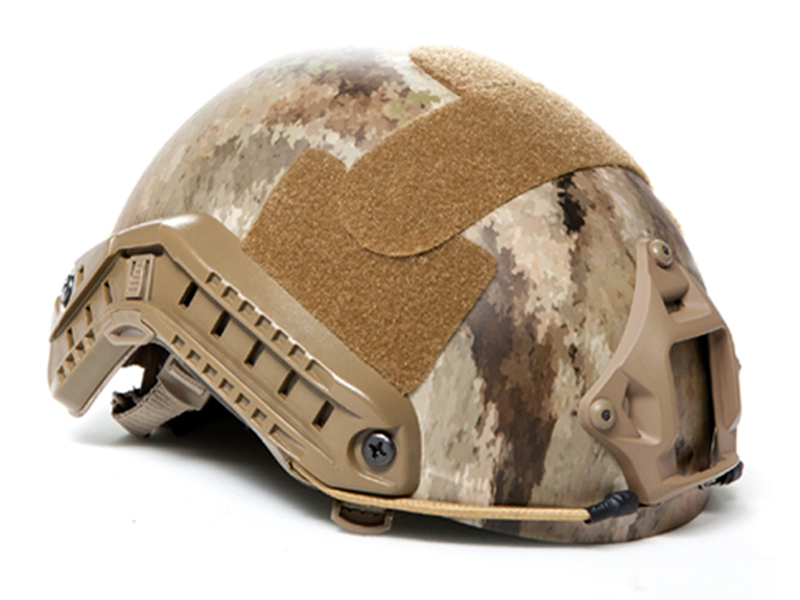 The Strike helmet features multiple options for a customizable fitting. Repositionable foam pads, adjustable chin straps in combination with a dial adjustable fit-band with replaceable front and rear padding with comfort lining; comes together to ensure that the helmet stays secure during even the most vigorous activities. 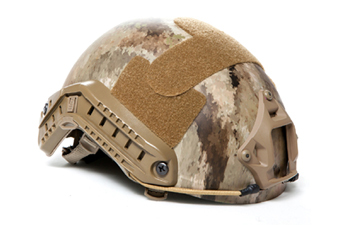 The Strike helmet offers many non-snag attachment points for quick mounting of head-borne accessories, such as lights, cameras and goggles. The 4 position ARCs (Accessory Rail Connectors) on the side of the helmet allows for attaching cameras, lights and COMMs and the NVG bracket in front has bungees for stability. Includes side pads for comfort, goggle retention swivels, Picatinny rail and ARC adapter. Available in many different colors and camo types.